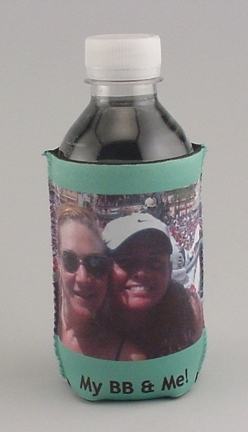 Personalized can coolers are great collectible items. 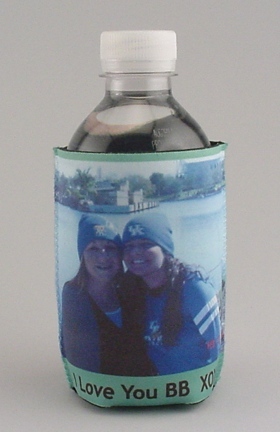 The possibilities with these custom photo koozies are as extensive as your imagination. 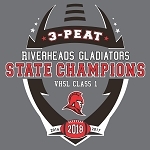 NOTE: We DO NOT print copy right protected or trademarked images unless you have written permission to use said image and can provide written verifiable permission to us to print your image, photo or logo. This item is printed with the image supplied as large as possible for the item. We will size photos as needed and we will arrange and place any text that is being printed on the item as we deem appropriate for the printable area. Our print process is permanent, this is NOT screen printing, NOT heat transfers, NOT iron-ons. 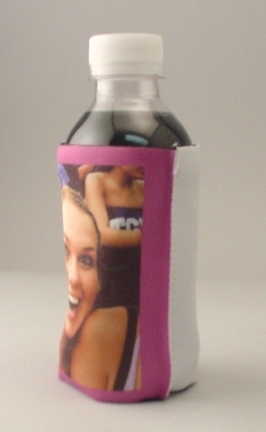 Our printed images will become part of your item and will not wash or flake off. 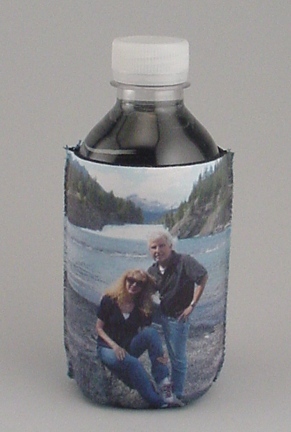 PROOF SHEETS: Proof Sheets can be requested for any purchase of personalized products. If you would like to receive a proof sheet of the artwork for your order before it is processed, you will need to select the “Yes” Option in the Proof Sheet Option Block if it is shown, OR type Proof Sheet Requested into the special instructions area. Proof sheets are only sent for completed orders. Once your order is received, you will receive an artwork proof copy by email for your approval before your order is processed. Proof sheets are typically sent within 24-48 hours after receiving an order. We do not send proofs over the weekends. Any order requesting a proof sheet is held for production until the order is approved. If you select “no” proof sheet or do not make that request all orders are processed in the order they are received with the information provided. 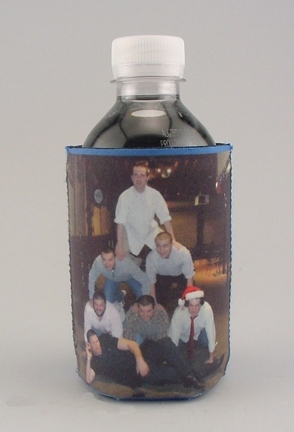 CARING FOR YOUR ITEM: We recommend that all sublimated beverage items not be washed with bleach, scouring powders or other harsh abrasive cleaning materials, so as to preserve the image. To make these items last as long as possible we suggest hand-washing, but washing is safe in a residential dishwasher. Sublimated mugs can be put in the microwave for short periods of time. I love the Can Koozies! Guests at my daughter and son-in-law's wedding reception will receive this as a favor and it turned out so cute. Thanks! Love it! Wish I could have afforded to order more. Was on the spend side for my budget.